First launching as a disruptive alternative to TV, Hulu had not produced a major brand campaign since 2011. 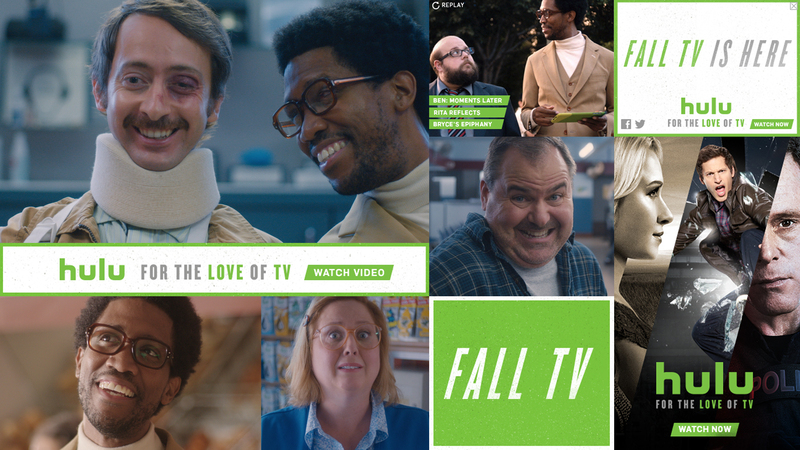 Hulu wanted an attention-grabbing campaign that rekindled brand love amid the excitement of the fall TV season. From strategy to execution, we created a campaign based on Hulu’s irreverent roots while looking forward to its future. We developed a 360 integrated campaign that shared Hulu’s love with audiences everywhere TV lives today, which included character-driven digital testimonials and rich media takeovers. With this campaign, Hulu re-established its role in popular culture, standing for the deep identification its audience has with the TV they love.